Just like the last couple seasons we will update you on arena and franchise changes so that you can optimize your travels and keep informed on new arena options. On this report we will cover the pro leagues in North America from the NHL right down to the Federal League. There are also a bunch of semi-pro leagues in the U.S. and Canada that can provide great fan experiences, but we will not cover them here. Outdoor games will be covered in a different report. As always, we hope you will find this information useful for planning your hockey road trips. With potential expansion on the horizon in Seattle, and the folks in Quebec City waiting patiently in the wings for a relocated franchise, for now the NHL will look exactly like last season from an arena and team standpoint, save a few venues being renamed. The number 31 seems awfully clunky so we assume team #32 will be on the horizon soon. To keep in tune with the NHL the AHL will have a 31st team, with the ECHL's Colorado Eagles making the jump to AAA, and becoming the Colorado Avalanche affiliate. This arena has historically drawn large crowds so it will be interesting to see how the jump to a different league will affect things. After several seasons with lots of franchise movement the league has stabilized a bit. Still known as the Air Canada Centre to most folks, the home of the Leafs will see their farm team competing here one stop further down the Go Train line in downtown Toronto. Dates of the Marlies games here include December 26th (Boxing Day), February 18th, and March 11th. 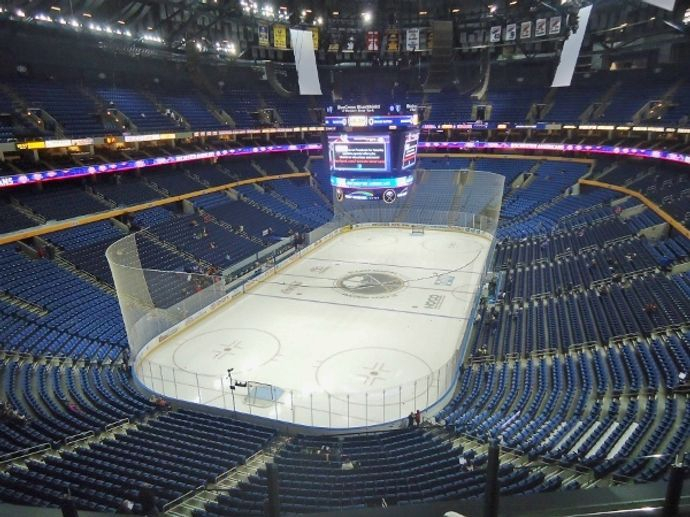 The home of the Sabres has been holding AHL games semi-regularly over the last several seasons, and will see the Rochester Americans play here on November 7th against Cleveland. The ECHL stays at 27 teams with some shuffling of cities, including Newfoundland getting a team. 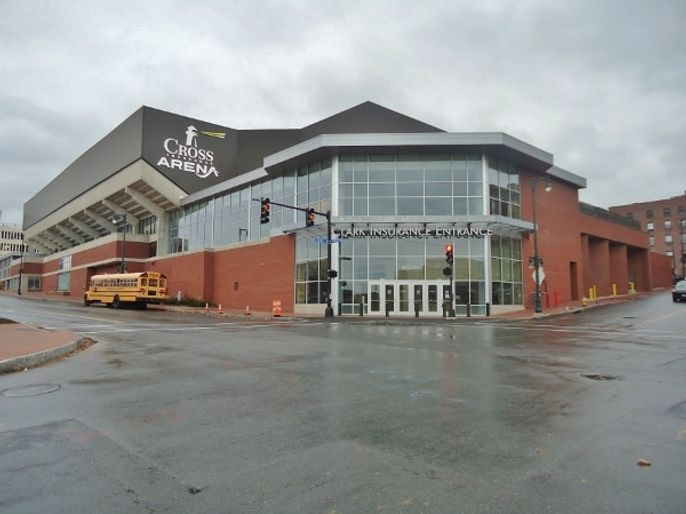 St. John's previously hosted the QMJHL, and more recently the AHL, but will see the ECHL come to town after a one year absence of hockey at Mile One Centre. Portland is another former AHL city that saw attendance wane at the end of its AHL tenure. We're not sure if the ECHL will be a very desirable attraction here, and fans may not be crazy about the constant roster turnover of the ECHL. The resurrection of the Maine Mariners name may not do a whole lot to attract attention, although this is a fine older arena with lots of character. As previously mentioned, fans here will still have hockey, only their Eagles will now be in the AHL. Geographic rivalries with western ECHL teams are now gone though. The Quad City Mallards have quacked their last breath here, and the hockey fans in the Quad Cities will now have a SPHL team known as the Storm to root for. We suspect the product will be more entertaining that the ECHL, but are not sure if they can make a go of it on the outer edges of the SPHL geographic footprint. The SPHL will still skate 10 teams, with one team coming and another going this season. As mentioned, Quad City moves to the SPHL, much like the Evansville market did with the Thunderbolts taking the place of the ECHL's Icemen. The unaffiliated style of play of the SPHL may be better suited here. 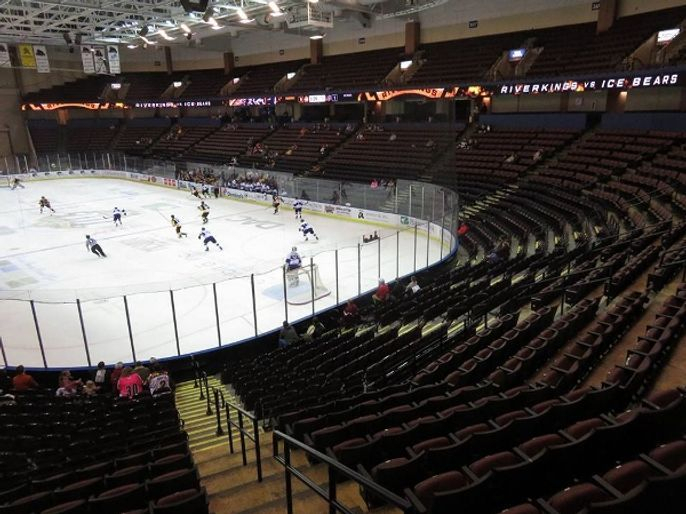 The Mississippi RiverKings called it quits at the end of the season, leaving the Memphis area market without any sort of major hockey tenant. Attendance was not strong enough to support the team, and the increasing decline of fighting in hockey is certainly making things a hard sell in the south outside of markets near military bases, or having large transplanted populations of folks from traditional hockey markets up north. With the Mississippi RiverKings ceasing operations the Memphis market and the Landers Center are without hockey this coming season Guy Smith photo for RoamingTheRinks.com . In Quebec, the LNAH has been shrinking in size season by season. Early in the summer it looked as though they may not have 6 teams to field a league, but Berlin, the remote New Hampshire town which is a former Federal League market, comes on board this season. 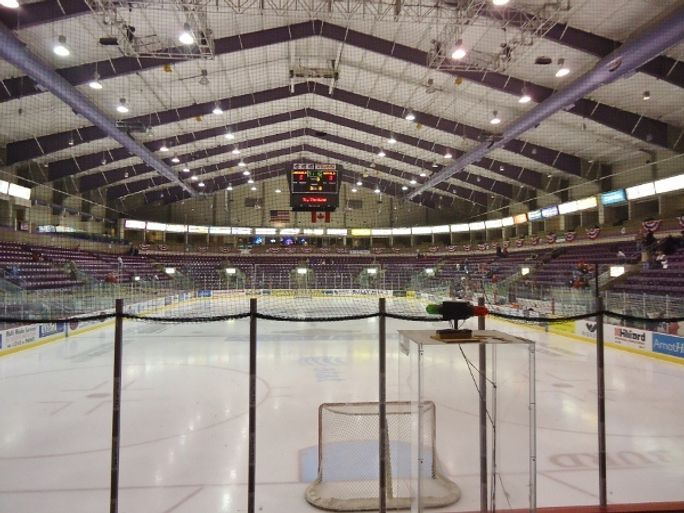 This small arena should make an interesting stop for Americans who want to check out the LNAH but not deal with the language barrier of traveling to Quebec, although it may be too small to make enough revenue to keep the team going. 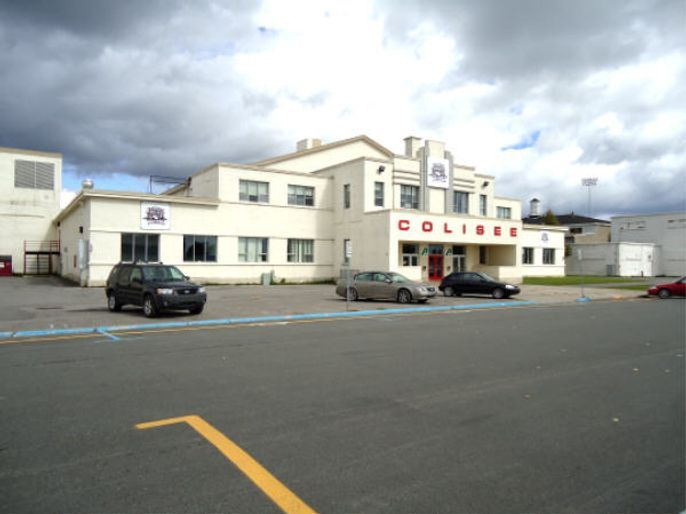 The iconic Art Deco Colisee was part of the rough and tough Quebec pro hockey scene for decades, and was earlier home of the QMJHL's Draveurs. The era of pro hockey comes to an end here, although the venue will still be home of UQTR's University hockey team. The FHL seems to somehow plug along each season, giving markets that have no other options a chance at hockey. Six teams will be in the fold this season, including Elmira, which went without hockey last season after losing their ECHL team. The Elmira Enforcers have a solid management group and good size arena for this league, and may draw well, but the volatility of the league makes one wonder how the outcome will be. This small arena outside Cleveland, in a town that has not had even Tier 3 junior hockey before, sprung into existence less than 2 months before the season starts. The Mentor Ice Breakers will have a challenging task to stay afloat in a league with such demanding travel and with such a short time to get their operation up and running. The North Shore Knights not only had one of the worst logos in the history of hockey, the GMHL team that shares the arena outdrew them from an attendance standpoint. The FHL is not a good option for the knowledgeable hockey fans in Ontario that have loads of other hockey options to choose from. Cornwall has a rich hockey history, with this building hosting the AHL, OHL, and QMJHL and LNAH in its past. The FHL's Cornwall Nationals folded at the end of last season, and you have to wonder if pro hockey is done here. Fans will still have the CCHL's Colts to cheer for as the play in the same building and will continue on the Eastern Ontario Junior A circuit. That wraps things up for this report. Next time we will cover college and university hockey in the U.S. and Canada. As always, we hope you will find this information useful when planning your trips this upcoming season. Hockey season is here so we hope you can get to an arena soon!